Milan is a big city and most travelers to Italy do not visit it, which is a pity. From the beautiful Duomo to SforzaCastle to – of course – The Last Supper and La Scalla, Milan has a lot to offer. We strongly advise you not to miss it in your Italian itinerary! However, museums, castles, and arguably the best opera house in the world are not the only attractions. The place where you stay can be a destination in its own right. 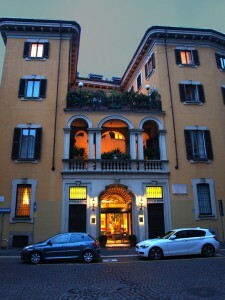 We found a charming historic palazzo, now Grand Duka Di York hotel http://www.ducadiyork.com/the-hotel/. 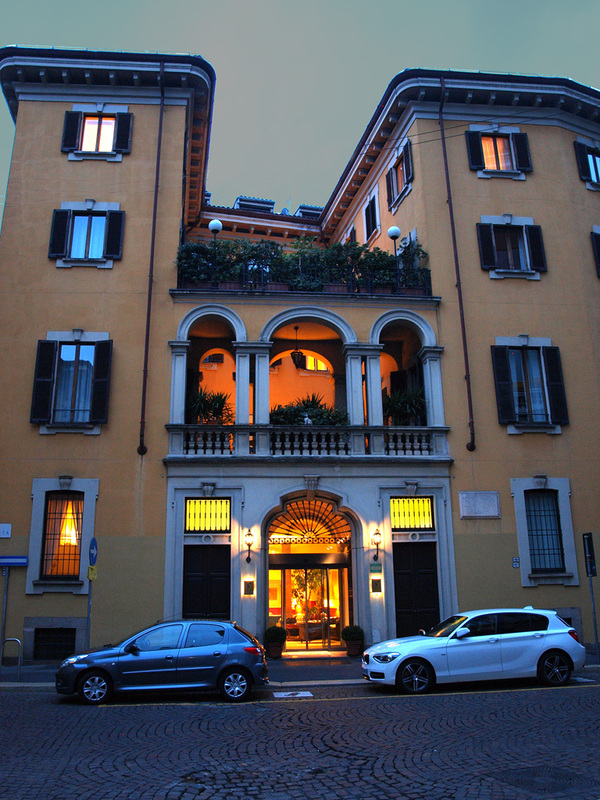 This beautiful B&B is uniquely located a short walking distance from most major Milan attractions for those interested in Italian history, art, and opera. When booking your room, ask for Barbara; you can say that Irene Shaland referred you, if you want. Barbara became our friend, an adviser, a witty conversationalist, and was extremely helpful in everything from buying train tickets to Ravenna, to advising about other one-day trip options. It felt like she knew exactly what we would enjoy. This entry was posted in Europe, Hotel, Italy, Travel Tips and tagged B&B, Hotel, Italy, Milan. Bookmark the permalink.